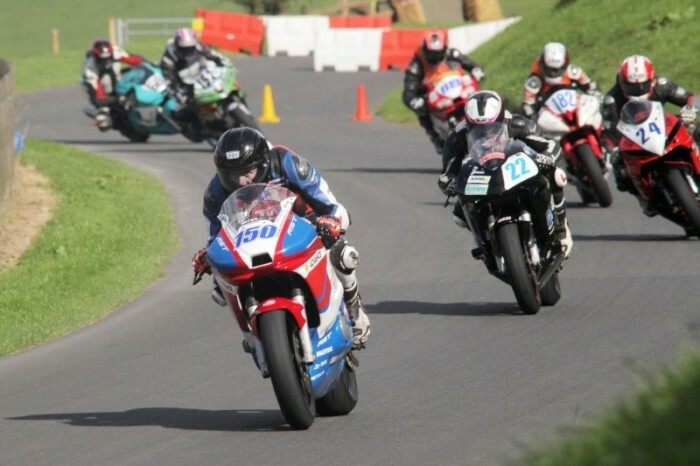 Auto 66 are once again offering competitors a number of Club meetings. These cater for all solo and sidecar classes as well as different championships in 2017. The first championship will be the Northern Clubman’s which will be run at three of the Cadwell meetings, plus new for 2017, a meeting at Croft, North Yorkshire and Jurby in the Isle of Man. The Northern Championship will have classes that will virtually cover everybody whether old or young (rider and machine), there will be a class for you. The first class will be Ultra Lightweight, which is for 125GP and Moto3 machines. The Lightweight class is for machines up to 500cc. The Super Lightweight class is for machines up to 650 twin-cylinder 4 strokes aimed mainly at the Supertwin and Minitwin competitors. The Junior class is for 600cc machines of all ages, the Senior class is for solos 700-1100cc and the Formula Libre is for machines 175 and over, manufactured before January 2001. This will cater for all steel frame and pre-injection machines and vintage and classic solos 350 and over. Last will be the open class for sidecars. The next championship will be the UK Road & Track Series, which will include rounds at Oliver’s Mount, the Southern 100, Jurby, Armoy (Northern Ireland) and Croft. Again, this championship will be open to Ultra lightweight, Lightweight, Super Lightweight, Junior and Senior machines. Over £7000 is offered for this championship in prize money and trophies at the end of the season. The Sidecars have not been forgotten as they will have their own championship, the UK Super 2 Sidecar Masters, Ian Bell Trophy, with the following events counting towards the championship: Oliver’s Mount, Isle of Man TT, Southern 100, Croft, Jurby and Cadwell Park. Prize money at the moment stands at £1000 for first place, £500 for second place and £250 for third place. The UK Classic Formula 1 & 2 solo series has been shaken up quite a bit for 2017 and will be named the UK Classic TT Superbike series, which will have separate awards at the end of the season for Formula 2 bikes. Again, there is a large pot of gold at the end of the series. Finally, at Cadwell Park, the Count of Cadwell continues with 6 rounds. This will be open to solo machines from 175-1300cc. After last year’s success, the Cadwell Bonanza and Sidecar Bash will be repeated on 28th & 29th October. There will be classes for all machines from pre 85 Cycle cars, classic and post classic machines, Formula 2, 350 scooters and the BEARS class. Of course, there will also be the Formula 1 & 2 races, with the Formula 2 being the last round of the UK Super 2 sidecar masters, where the winner will be presented with the Ian Bell Trophy. New will be the Cadwell Classic Reunion meeting, which will take place on 2nd and 3rd September. The club last ran this type of meeting in 2014 which was a huge success. The following year, the circuit ran their own in terrible weather conditions and dropped the meeting from last year’s programme, however Auto 66 are confident they can make it great again for 2017 so all we need now is the vintage and classic enthusiasts support.